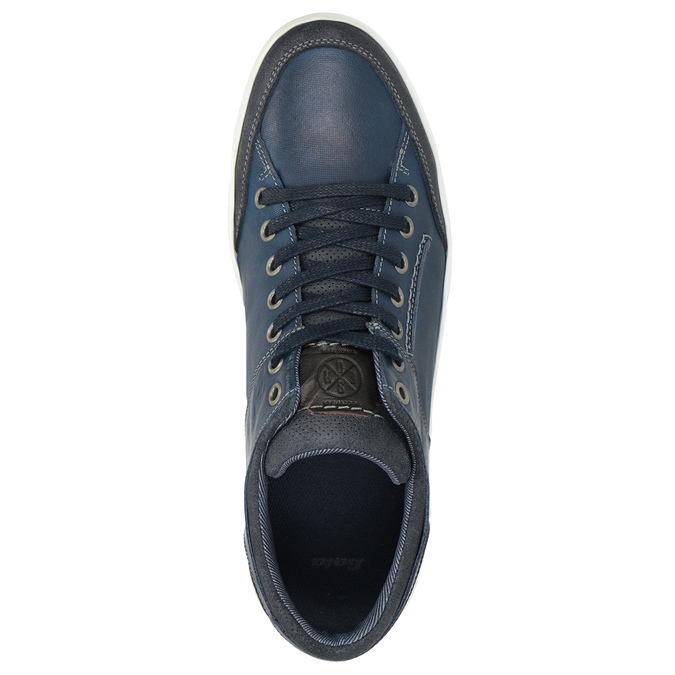 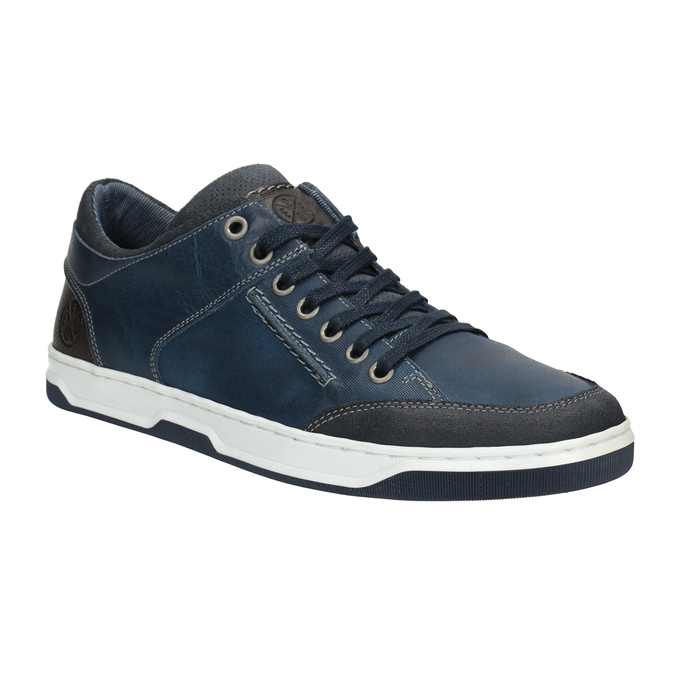 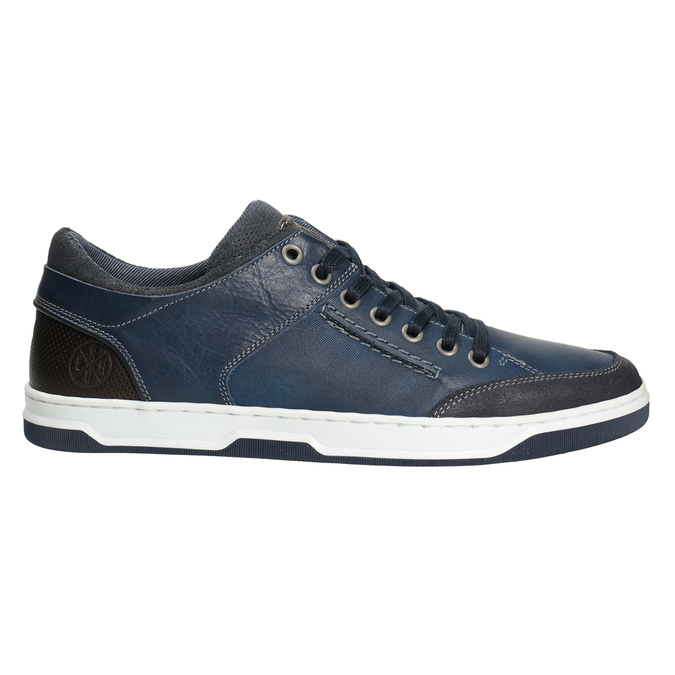 These stylish men's sneakers have a simple design and the leather upper in a dark blue color is decorated with a distinctive stitching. 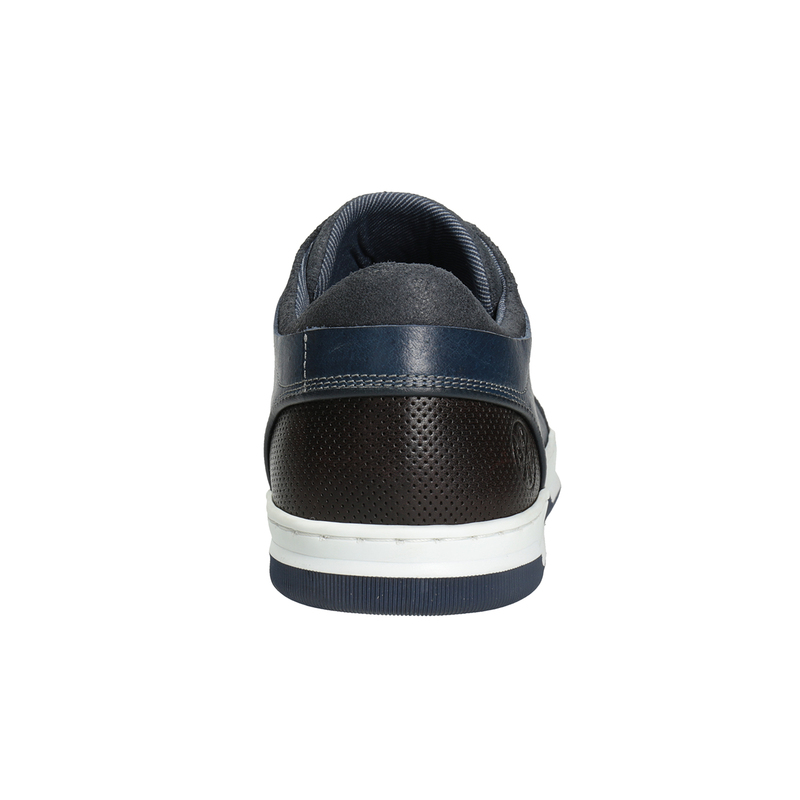 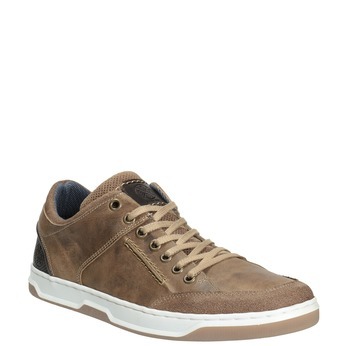 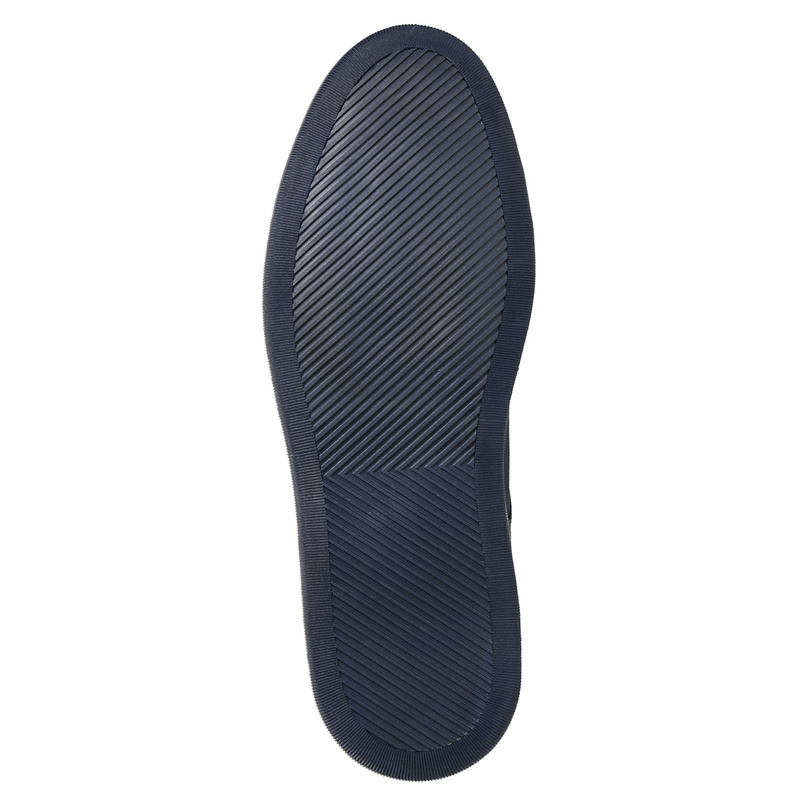 The comfortable sole is stitched to the upper, so the sneakers are perfectly comfortable. This model will perfectly fine-tune your casual urban style and it will look great with both rolled-up chinos, as well as with jeans or shorts.